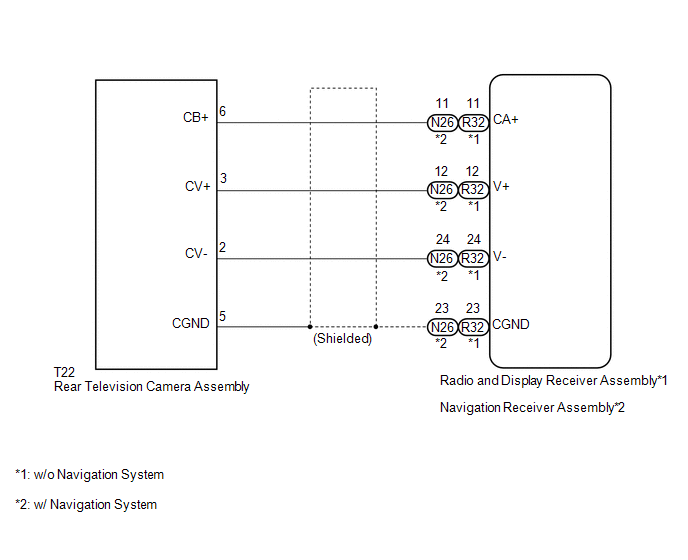 This DTC is stored if the radio and display receiver assembly*1 or navigation receiver assembly*2 judges as a result of its self check that the signals or signal lines between the radio and display receiver assembly*1 or navigation receiver assembly*2 and the rear television camera assembly are not normal. 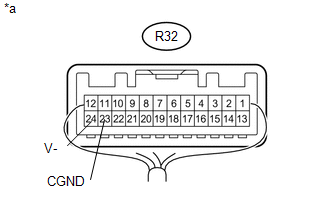 (a) Disconnect the R32 radio and display receiver assembly connector. (b) Disconnect the T22 rear television camera assembly connector. 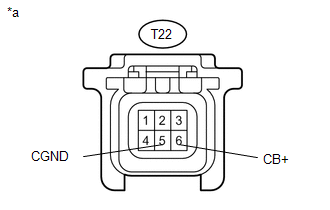 (a) Disconnect the rear television camera assembly connector. Waveform is as shown in illustration. (a) Replace the rear television camera assembly with a new or normally functioning one (See page ). (a) Disconnect the N26 navigation receiver assembly connector.